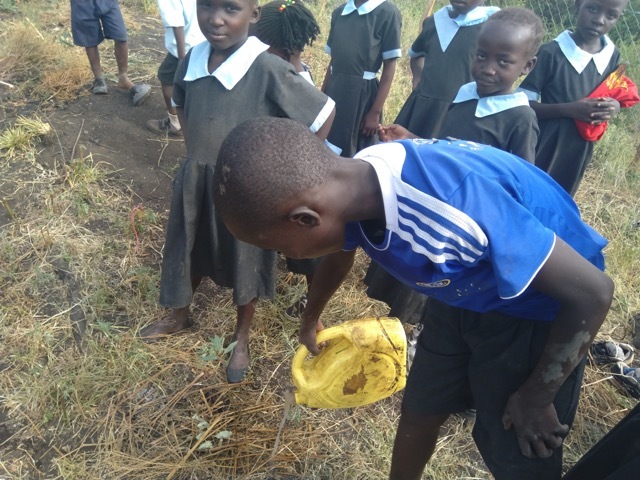 We partnered with the Rotary Club of Kisumu, the Community Care Development Foundation, and the Christian Dream School to plant trees and build a fence to protect them. There is a critical shortage of trees in Rakwaro, a small village in Kisumu county, Kenya. Population growth is impacting heavily on tree availability. Destruction of forests and wetlands has resulted in biodiversity loss, a key environmental challenge in the area. Poverty is prevalent throughout the county, which manifests itself in socio-economic outcomes such as poor nutrition, health, and education. The majority of Kisumu county’s population depends on wood fuel for cooking. With estimates that nearly 90 percent of households use firewood or charcoal for cooking and heating. Due to socially-ascribed gender roles, the burden of providing water and firewood for the family falls heavily on women and young girls. Women and girls are spending a lot of time looking for firewood instead of working on educational goals, income-generating and development projects. Girls usually go to school tired after having spent many hours looking for firewood. This adversely impacts their school success. The total percentage of forest cover in Kenya is only 7%. A goal has been set to plant over 10,000 trees during 2018. Every child within the community will adopt a tree, take care of it and see it grow. The trees will be planted on a 5 hectare piece of land where it is planned to move the school in future. This area will be fenced to protect the saplings. Through this exercise, children will learn the benefits of environment conservation and waste management. Every child who adopts a least 15 trees and demonstrates a high level of care and management will be rewarded. The project will assist in the formation of peer groups designed to influence the upholding of environmental best practices, thereby transforming negative mindsets into positive ones. The project will also engage both men and women as role models, mentors and advocates against environmental negativity. Awareness will also be raised on sustainable approaches to better livelihoods by introducing women to income-generating projects. The project total cost was $2,795.66 USD, $1,795.66 being provided by Peninsula Rotary. 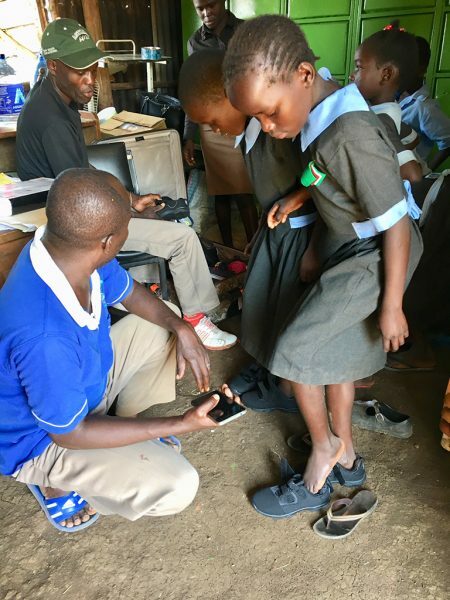 The Rotary Club of Kisumu and the Community Care Development Foundation each contributed $ 500.00 plus administration, while the Christian Dream School provided education and on-site administration. This paid for construction of a chain link and barbed wire fence and 1,000 trees to begin the planting process. 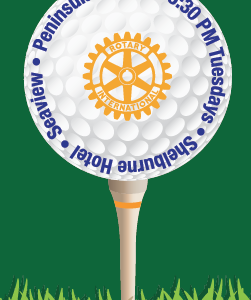 For more information contact Rotarians Crissy Christian or Keleigh Schwartz. 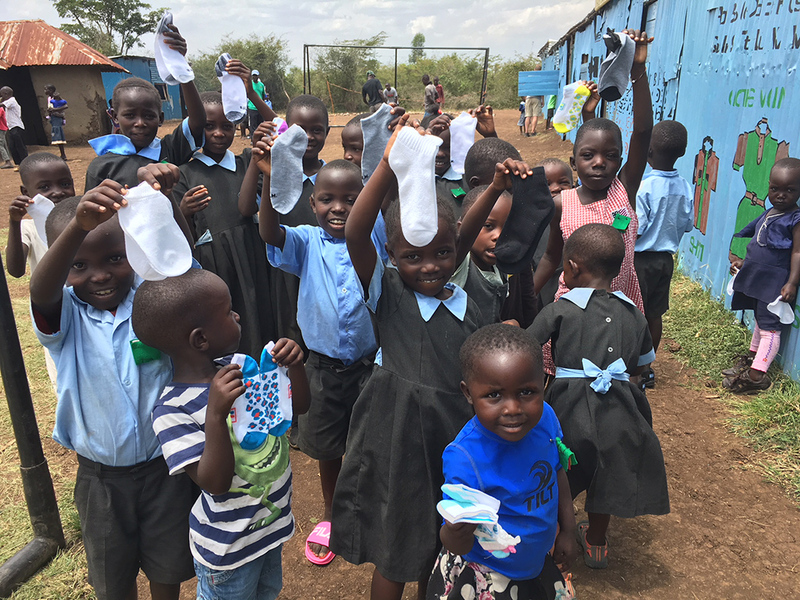 We collected a dozen large suitcases and filled them with shoes, socks, and school supplies for children in the village of Kisumu, Kenya. A local group was going to the village and able to take the suitcases with them, ensuring delivery, so the somewhat expensive shipping would be a worthwhile cost. The Rotary Club of Kisumu welcomed our contribution and we look forward to partnering with them in the future. 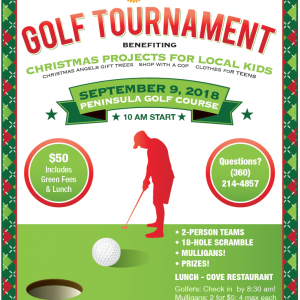 For more information, contact Rotarians Crissy Christian or Karen Hintz. Right now, around 85 million people around the world have been displaced by natural disaster and conflict. ShelterBox is working to change this. The organization doesn’t believe that one size fits all, instead working hard to understand the impact of each emergency and the need this creates within individual communities. The equipment provided, whatever shape it takes, gives people the hope and the power to transform their own lives. Our club is again sponsoring a Shelter Box ($1,000 USD), a sturdy green box with family-sized tents specially designed to withstand the elements and provide up to ten people with temporary shelter until they are able to start the process of rebuilding a home. The boxes contain cooking sets, solar lights and activity sets for children. 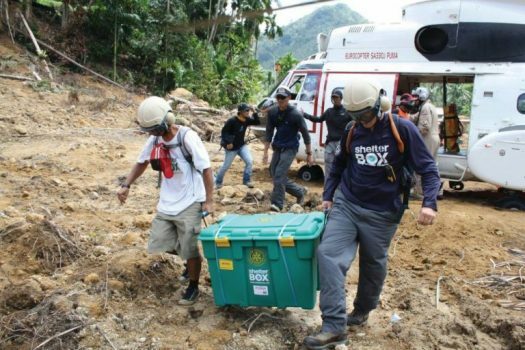 Explore ShelterBox aid in depth. Many Rotary clubs, and Rotary International, partner with Shelter Box, so much so that the organizations’ names are nearly synonymous. We’re joining with the Rotary Club of Newberg, Oregon on a project for San Mateo Milpas Altas school in Guatemala. Facilities are inadequate with classroom overcrowding, no drinking water, and smoke-filled facilities when breakfast or lunch are being cooked. This is not the first Central American project for Newberg Rotarians, who have on-the-ground relationships with Rotarians in Guatemala. These relationsips are how Rotary gets things done without materials and funds becoming lost along the way. 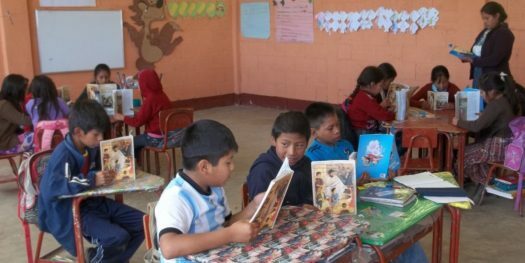 The $105,150 project will expand and renovate classrooms, add a library, provide clean drinking water and an industrial size cook stove, as well as train teachers in new teaching tequniques with sustainable results. Affected will be 252 boys, 246 girls, 19 teachers, and roughly 280 parents who help throughout the year (9 each day). Our $2,000 contribution will join with $17,000 from the Rotary Club of Newburg, $5,000 from partnering clubs yet to be confirmed, $100 from the Rotary Club of Antigua hosting the project, $30,000 from Rotary District 5100, and $45,000 from a Rotary International Global Grant. 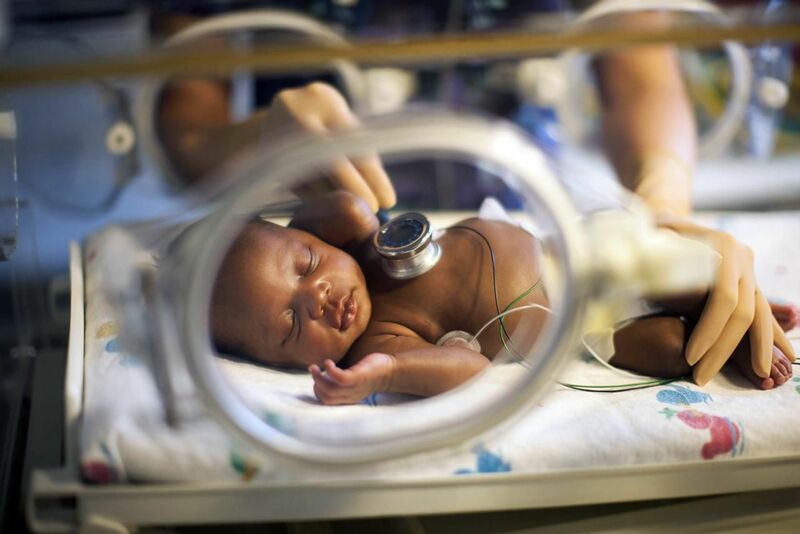 Our club received an opportunity to partner with the Rotary Club of Secondi-Takoradi to positively impact the neonatal health care in Ghana by purchasing baby incubators. The lifesaving devices will be purchased in the United States, shipped to the club in Ghana, and go through international customs and clearance before being delivered to the hospitals in Western Ghana. Details are still being worked out. We have earmarked $1,000 USD in funds in 2017-18 toward this project, which we will add to in 2018-19 as the project moves from planning to action. Since this project involves a Rotary Global Grant, the minimum budget will be $30,000, with clubs in the US and Ghana contributing approximately $9,000. When Rotary clubs join forces on international projects, dollars grow quickly! The clubs involved in the project contribute cash, which, in the USA, is matched at 100% by their District’s Funds and again by the Rotary Foundation’s World Fund at 50%. The World Fund also matches the District Funds at 100%! To simplify, let’s say you give $1 to the project. It is matched by the District and is now $2. It is also matchedby the Rotary Foundation’s World Fund at 50%, making it $2.50. Then the World Fund matches what the District added, so your original dollar is now $3.50 in global aid. 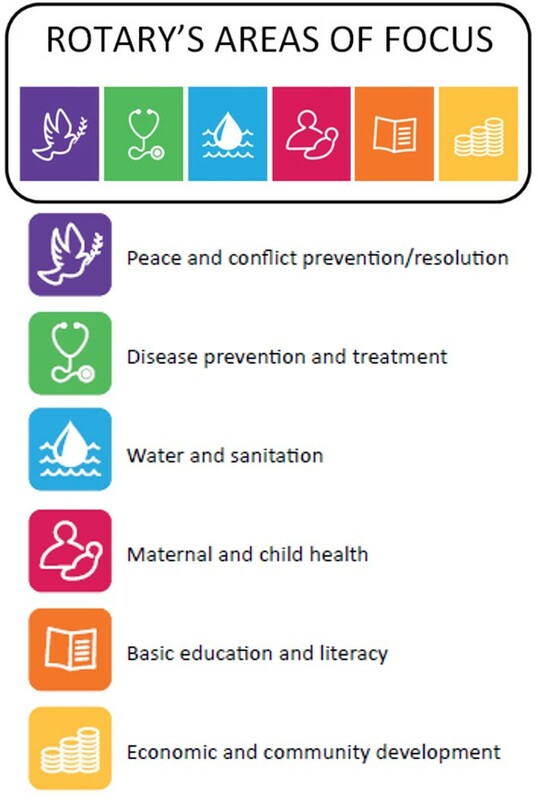 Some countries have additional matching funds outside of Rotary to add to projects. For example, Canadian clubs enjoy a six times match by their government! As you can see, partnering with Canadian clubs can really stretch a dollar. Are funded by the partnering clubs, other clubs, and match funds at the district and international levels.